If you missed the $100 discount on LeEco's two debut phones for the American market, you have another chance to snag one today. 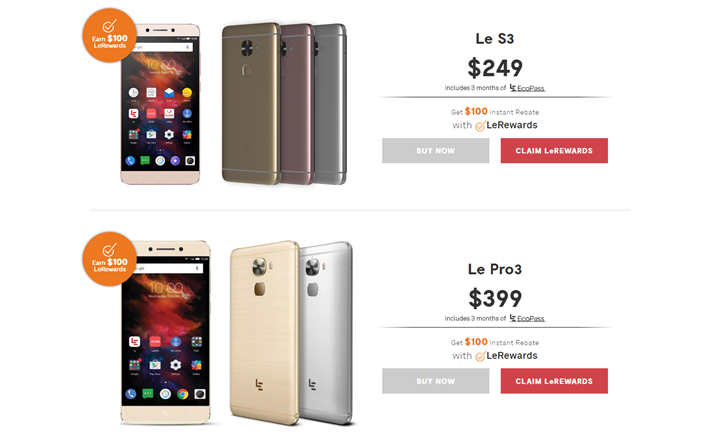 The company is selling its higher-powered phone, the Le Pro3, for just $299, while the more down-market Le S3 will be just $149. Apparently the manufacturer didn't see the stampede of sales that it wanted last week, so it's making that generous offer again. The deep discounts on LeEco's televisions remain, minus the dramatic 85" model. The sale will start at 10 AM Pacific and end tonight, or sooner if supplies run out. Chinese manufacturer LeEco made a splash with its US debut, even if it wasn't a particularly promising one. Today it has its sights set squarely on the mid-range market with $100 discounts on both of the debut American phones: the Le S3 and Le Pro3. (And yes, after penning down an initial writeup for the latter, I am LeTired of this LeNaming scheme.) That brings the pricing down to just $149 and $299, respectively, assuming you can snag one of the phones once the sale starts at 10 AM Pacific time. Looking to save a buck (or fifteen) on a relatively high-dollar purchase? Or just pick up a gift card to sit on till later? eBay has a flash sale on all purchases above $75 on its site right now: use promo code CSUMMERFUN2016 when checking out. One of the best ways to save? 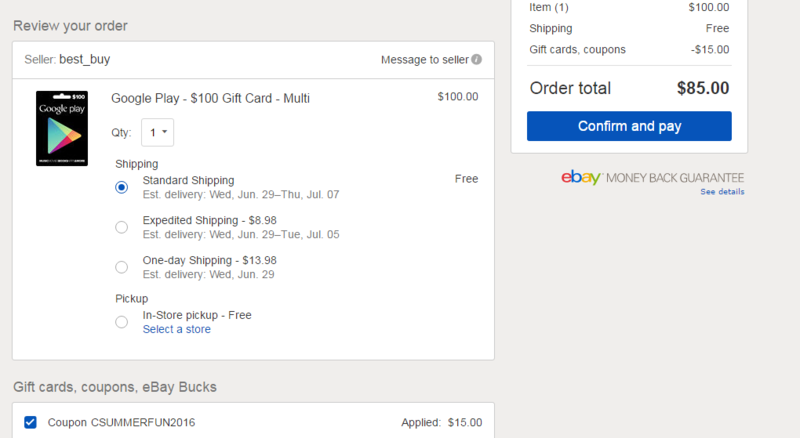 Go to this listing for a $100 Play Store gift card sold by Best Buy, then use the code. You'll get $100 of Play Store credit for just $85. Unfortunately, the code does not apply to standard eBay gift cards, but you could use it on some of the other many gift cards eBay sells. 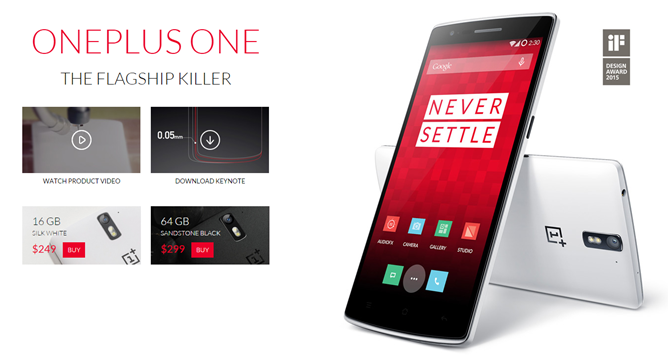 The OnePlus One is still a great deal in terms of hardware, even more than a year after its release. If you'd like an even better deal, keep an eye on the OnePlus online store this week. According to this page, the One will be $50 off during "flash" sales, at least once per day between today, June 1st and Sunday, June 7th. Times for the start of the sale will vary, and presumably a set number of discounted phones will be sold each day. The discount is applied to both the 16GB white and 64GB black versions of the One, bringing the prices down to $249 and $299, respectively.